Our Old Testament passage is the continuing story from last week. Remember that David, home alone while his armies were out fighting battles, had spied the fair Bathsheeba and, in what can only be described as a colossal failure of leadership and an implausible abuse of power and authority, had sent for her, slept with her, impregnated her, and then in an attempt to cover up the deed, lied, schemed, and finally murdered her husband Uriah the Hittite. So, Uriah is now dead and Bathsheeba mourns. With Uriah dead, David then is free to take Bathsheeba as his wife, bringing legitimacy to their son. Well, as you know, there are a variety of ways that this story is told. Some will shift the blame to Bathsheeba, depicting her as some sort of harlot or something that wooed David into the affair. But that, of course, ignores the fact that it was David that had all the power here. Others will somehow characterize it as God’s work, as if God would call David to cheat, lie, scheme, and murder to further the building of the Kingdom of God. Sorry, I don’t really think that’s quite what God had in mind. So today we have the story of Nathan. I love Nathan. He confronts the problem head-on. And he does it in quite a remarkable way. He tells a parable. (Where have we heard that style of teaching before?) He tells the story of a rich man who possessed many flocks and herds—so many, in fact, that he didn’t even really know them all–and a poor man who possessed one lowly little lamb who the poor man actually had grown to love. Yet when a traveler appeared, the rich man, replete with livestock, actually took the one lamb from the poor man to feed his guest. Well, David was incensed. After all, what a horrible man! Someone should do something! That is not justice! That man should be punished! That man doesn’t deserve to live! He then explains in detail what David has done, all the time holding a mirror, forcing David to look at himself, to look at his own actions, to realize that his actions have consequences, that they cannot be hidden from God. And, maybe even more painful, they cannot be hidden from himself. David has to face what he has done, look at the consequences, look at the pain and the suffering that he has caused. And David finally admits his wrong. He confesses. It’s a hard thing. It’s a hard thing to admit when you’ve done something wrong. It’s a hard thing to be forced to take a good hard look in that mirror and see the reflection not of that image of God in which you were created but rather someone that you’d rather not be around. Yeah, sin is a hard thing to talk about. It’s a hard thing to look at, particularly, when that mirror is showing us someone that we don’t really want to be. Where did we go wrong? And what will everyone else think? And, after all, we’re good Methodists. We don’t need to talk about sin. We have grace. Really? I think Rev. Barbara Brown Taylor has possibly written the most incredible book on sin that I have ever read. In her book entitled “Speaking of Sin: The Lost Language of Salvation,” she depicts sin as our only hope. Well that’s a new spin on it! After all, aren’t we trying to avoid it? She says that “sin is our only hope, because the recognition that something is wrong is the first step toward setting it right again.” (Barbara Brown Taylor, Speaking of Sin: The Lost Language of Salvation, (Cambridge, MA: Cowley Publications), 59.) In other words, no longer can we just sweep something under the rug hoping that it will go away, hoping that our good Methodist upbringing will shower us with grace and keep our sins closeted away where they need to be. It’s a phenomenal way to think about it, to realize that in some way, holding the mirror up for ourselves or, if we can’t do that, hoping that someone in our life will be grace-filled enough to do it for us, can actually bring us closer to God, actually put us on the road to beginning again. What power does the parable have in confronting David as opposed to some other way that Nathan might have utilized? Why is it so difficult for us to see our own misgivings? How do we usually talk about sin in our society and our culture? How do you view sin in your own life? What part did God play in this story? This passage is sort of a “hinge” statement for the writer of Ephesians (who, remember, is more than likely not Paul). It wraps up the theological statement in the first three chapters and leads into the material that follows that provides a rationale for the behavior that is required of the church. It is an exhortation to hearers to abandon the old ways and fully enter something new. The primary call is to unity of the church, which the writer views as a reflection of God’s gift of reconciliation in Christ. But this is a process, rather than a completed event. Unity is part of the maturity of the church itself. Unity is the way to wholeness. But while the process is going on, the church is called to build up the members of itself, rather than posing some sort of “requirement” of where they have to be before they enter the church. That is the reason, as the author sees it, that God endowed members of the church with certain leadership gifts. But in Ephesians, unity is not the same as uniformity. This is not a closed unity that shields the church and keeps it “safe” with its set and staid doctrines and beliefs; it is rather an expansive and open unity, growing and dynamic. The mystery of God does not wipe out the distinctions between groups within the church. The call is that even in the midst of diversity the church will become one in Christ. It is a call to a “grown-up” faith that recognizes what God has provided and listens for what God is calling us to do. We are to live a life worthy of our calling, a life worthy of what we were created to be. Part of the message here, again, is that God’s generous love reaches out to include. No one is too far away; no one is too far gone; no one has sunk too low. It is a message of grace. We are all called by God. So these leadership positions are not “rewards” but roles through which the leaders reach out to everyone in the name of Christ. Endowed with gifts, we are now partners with God in ministry and ministry-making. We are now partners in building the Kingdom of God. We have to live our own lives. I do not know why you have the gifts you have and I have the ones I have. I only know that we have them for the same reason, to build up the Body of Christ, to benefit others, to serve the communities of which we are a part. That is the central issue in the business of living. What does “unity” mean to you? What do you think “unity” means to most of our society? How does this speak to our modern-day church? What does this say about our own calling? What does it mean for us to “live a life worthy of our calling”? What does this passage say about leadership? This passage follows up to the passage that we read last week about the Feeding of the 5,000. And here Jesus makes a major declaration by claiming that the crowds were following him because their needs had been met. In other words, he is claiming that the crowd really wasn’t that impressed with the miracle itself but in that it had had a positive effect upon them. The implication is that this was sort of a superficial belief and did not lead to real change, to really knowing who Jesus was. We believe Jesus to be the full revelation of God, but, particularly in John’s Gospel, that revelation does not come to us directly and straightforwardly. And, once again, the crowds do not get it. They hear “bread” and assume that Jesus is talking about baked wheat flour. Jesus notes their incomprehension. They are looking for Jesus, but the “Jesus” for whom they are looking is different from the one they have. Their faith rests, rather, in their idea of a Savior, a King, or perhaps someone who can “fix” all the ills of life. It sort of, then, flies in the face of the notion of the “Feeding of the Multitude” being about the Jesus who can meet all of our needs. In other words, it’s about bread but it’s not just about bread. The bread that filled their stomachs now turns into holy metaphor. Now don’t get me wrong. The passage is not lessening the importance of physical nourishment. There are millions of starving people in the world that can speak to that. But it’s not all there is. Jesus is depicting faith as belief in something else, in the spiritual, the incarnation of God. Jesus is not trying to hide the truth but to show a new truth—the Word made Flesh. “Seeing” Jesus, seeing signs is not the same as encountering the Christ that is the Word made Flesh, not the same as knowing Christ as God. What is interesting is that most people are good at going where their own physical needs are met and, yet, many try to “spiritualize” others’ material needs. Jesus is trying, though, to connect their physical hunger back to their spiritual hunger. The two cannot be separated. After all, what good are “signs” if one is physically hungry and what good is eating if one is spiritually wanting? Encountering Christ recognizes that we are called to feed the world both physically and spiritually. We can neither concentrate on just the physical nor can we over-spiritualize the basic need of the human body for physical food. We are called to be the “signs” of Christ’s presence in the world. We are called to be sacrament in this world. 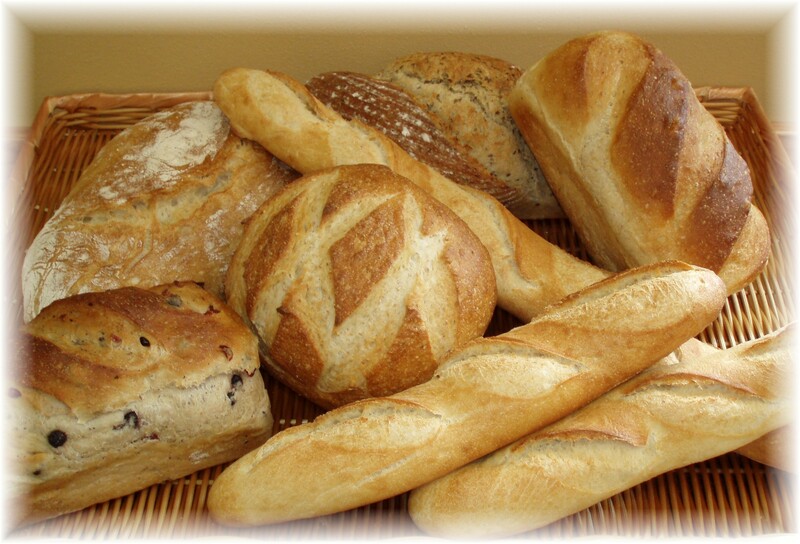 What does the term “Bread of Life” mean for you? What stands in the way of our seeing Christ as the Bread of Life? What needs compel people to follow Christ? How do those needs affect our faith, our view of Christ, and our view of the Church? O Ingenious God, I rejoice in your creation, and pray that your Spirit touch me so deeply that I will find a sense of self which makes me glad to be who I am and yet restless at being anything less than I can become. Joyful enough to celebrate all of it, myself and others and you through Jesus Christ our Lord. Amen.